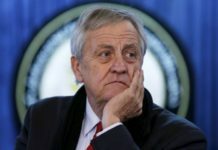 Horndiplomat-Sanctions Committee Chair Briefs Security Council on Somalia, Eritrea Developments as Delegates Air Views concerning Peace in Horn of Africa. On the heels of the landmark rapprochement between Ethiopia and Eritrea, which ended two decades of hostility, the international community must honour its responsibilities to support historic efforts to build peace in the Horn of Africa, the Security Council heard today following a briefing on the recent visit to the region by the Sanctions Committee on Eritrea and Somalia. Kairat Umarov (Kazakhstan), Chair of the Committee established pursuant to resolutions 751 (1992) and 1907 (2009) concerning Somalia and Eritrea, welcomed the 9 July signing of the Joint Declaration of Peace and Friendship by President Isaias Afwerki of Eritrea and Prime Minister Abiy Ahmed of Ethiopia, as well as the 28 July visit by Somalia’s President Mohamed Abdullahi Mohamed Farmajo to Asmara. Between 14 March and 30 July, its reporting period, the Committee also attended meetings in Djibouti, Ethiopia and Somalia, he said. Presenting several observations on regional challenges, he noted that all interlocutors described the destabilizing effect of the war in Yemen and warned against a premature withdrawal of the African Union Mission in Somalia (AMISOM) as Somali forces are not yet ready to take on full security responsibilities. Following his briefing, Ethiopia’s representative hailed the historic move towards peace his country and Eritrea have taken to “turn the page” and end 20 years of conflict. Eritrea’s representative likewise said the two countries have, through a joint declaration signed today, agreed to exchange ambassadors, forge cooperation in several areas and join hands to address peace and security issues. 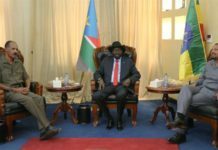 Wondering why the Council is inexplicably discussing sanctions against his country today, he welcomed the call by several States, including Ethiopia and Somalia, for the measures to be lifted. “The Security Council should not miss another opportunity to contribute positively to regional peace and security in the Horn of Africa and the Red Sea,” he said. By lifting sanctions without conditions, the Council can send a positive message that it supports the desire of people in the region to live in peace and economically thrive together. 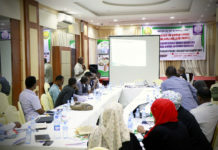 Indeed, Somalia’s delegate, citing his country’s record of compliance with the sanctions regime, pressed the Council to revise paragraphs 10c and 11a, which allow weapons to flow to Somali security institutions that fall outside the national structure — notably “undefined” Somali security forces and AMISOM strategic partners — without notifying Somali authorities or having proper management processes in place. 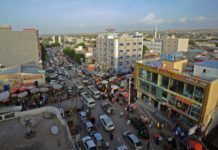 After decades of war, Somalia’s efforts are slowly bearing fruit, but the country is too often criticized for what it has not yet achieved rather than recognized for its progress. “Our capacity remains at an early stage, but to build it, we require the support and partnership of this Council and its subsidiary bodies,” he said. Meanwhile, Djibouti’s representative raised concerns about his country’s ongoing border dispute with Eritrea, pressing the Council to urge Eritrea to engage in mediation efforts, as the opportunity to build a future of peace and development in the region cannot be squandered. Welcoming the latest developments regarding the conflict between Eritrea and Ethiopia, he said a study into lost gross domestic product (GDP) due to conflicts in the Horn of Africa would prove the benefits of investing in peace. “Silencing the guns and realizing a conflict‑free Africa is a challenging task, but we should all work in earned and full commitment towards that goal,” he said, describing the people of the Horn of Africa as brave and talented, with a can‑do spirit when given the chance. The meeting began at 10:25 a.m. and ended at 11:03 a.m.
KAIRAT UMAROV (Kazakhstan), Chair of the Security Council Committee established pursuant to resolutions 751 (1992) and 1907 (2009) concerning Somalia and Eritrea, said that during the reporting period from 14 March to 30 July, 10 notifications regarding the arms embargo were submitted. 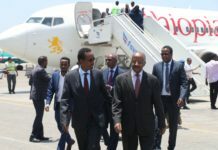 Welcoming the 9 July signing of the Joint Declaration of Peace and Friendship by President Isaias Afwerki of Eritrea and Prime Minister Abiy Ahmed of Ethiopia, as well as the 28 July visit by Somalia’s President Mohamed Abdullahi Mohamed Farmajo to Asmara, he described his visit to Djibouti, Ethiopia and Somalia, and the Committee’s ensuing activities and decisions. Noting that the region is committed to ensuring stability and peace, he said that when meeting in Addis Ababa, Prime Minister Ahmed expressed readiness to start a dialogue with Eritrea. Expressing regret that Eritrea did not invite the Committee nor provide its views on the regional situation, he reiterated the Committee’s commitment to engage with that country and lamented the lack of response to a letter sent to the Chargé d’Affaires of Eritrea’s Permanent Mission. The Committee’s visit to the region was a diplomatic and trust‑building exercise aimed at engaging directly with authorities to obtain first‑hand information, he said, including on the implementation of sanctions on Somalia and Eritrea. During the discussions, he reminded Somali officials of their obligations under the partial lifting of the arms embargo, noting their concern about the ongoing charcoal ban and Al‑Shabaab’s trade in that resource to finance terrorist activities. The Committee would seriously consider the request to sanction individuals and entities receiving illicit charcoal from Somalia. On regional dynamics, he said all interlocutors cited the destabilizing effects of the Yemen war on stability, including arms flows and commercial relations, investment, trade and tourism in the Horn of Africa. 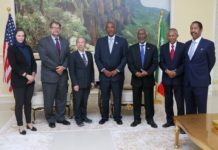 Concerning sanctions on Somalia, he observed a strong will among authorities, but said the embargo should not be lifted until political and security reforms were established alongside strong institutions. All interlocutors cautioned against a premature withdrawal of the African Union Mission in Somalia (AMISOM) as Somali forces are not yet ready to fully take responsibility for the country’s security. Concluding, he said the visit allowed the Committee to gather valuable information that would enable it to enhance the implementation of sanctions on Somalia and Eritrea. TEKEDA ALEMU (Ethiopia) said much has occurred since the Chair’s visit, citing rapid changes reflecting the historic rapprochement between his country and Eritrea. After a 20‑year hiatus, Ethiopia and Eritrea have decided to “turn the page” and what was once considered impossible has been made possible thanks to the two countries’ leadership. Indeed, the silencing of guns in Africa is fostering peace, with “this wind of change” welcomed by the region and beyond. The recent positive momentum must be sustained. The Council has a particular responsibility to support the bold steps taken by the President of Ethiopia, he said, emphasizing the need to encourage actions taken “outside the box”. Innovative thinking must now acknowledge these positive developments. Indeed, the breakthrough of peace between Ethiopia and Eritrea is to be celebrated, he said, highlighting that the current approach hinges on including all parties and excluding no one. 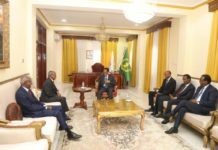 Recalling that the Foreign Minister of Djibouti visited Ethiopia last week, conducting constructive discussions, he expressed his firm commitment to fostering a good relationship between Eritrea and Djibouti and pressed the Council to play its important role in that regard moving forward. ABUKAR DAHIR OSMAN (Somalia) said sanctions are a tool designed to tackle security challenges, including in the fight against Al‑Shabaab and terrorism, which remains a vicious threat. However, Somalia is not what it was when the sanctions were imposed, with significant progress having been made in public financial management, security sector reform, weapons management and accountability. While there is a long way to go, the Committee and the Monitoring Group on Somalia and Eritrea should focus on areas posing the greatest threat to stability. 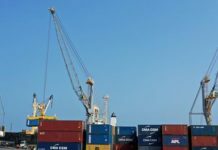 With one of the widest mandates of all the sanctions regimes, it should consider Somalia’s progress, as should the Council, by focusing on spoilers, rather than those engaged in the challenging task of State‑building. 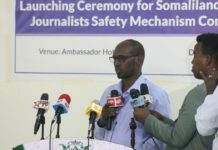 Given Somalia’s record of compliance with the sanctions regime, he requested the Council to review and update existing measures and underscored a particular need to revise paragraphs 10c and 11a, which allow weapons to flow to Somali security institutions that fall outside the national structure — notably “undefined” Somali security forces and AMISOM strategic partners — without notifying Somali authorities or having proper management processes in place. 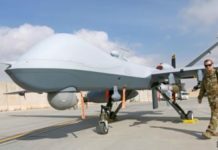 “This is problematic and it is exacerbating arms fragmentation in our country,” he said. For its part, the federal Government will continue to implement its transition plan, he said, developing standard operating procedures to achieve a comprehensive weapons management system and establishing a weapons and ammunition management commission. It is committed to ensuring that Somalia’s resources are not used to finance Al‑Shabaab’s operations. 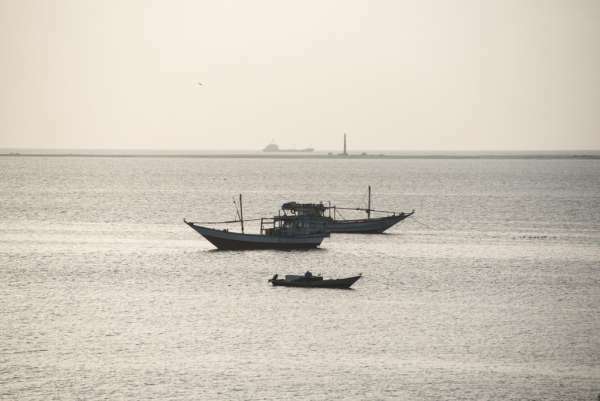 To that end, the National Security Council, in February, endorsed an interim agreement on fisheries revenues, while the Cabinet, in April, agreed to ban the domestic sale of charcoal. 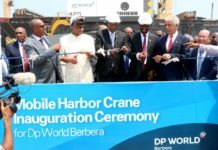 Underlining the importance that precious natural resources are retained to assist in economic regeneration, he said the federal Government is tackling illegal fishing and ensuring that Somalia’s waters and rich fish stocks can provide a livelihood for Somalis. The National Security Council also reached an agreement in June on the ownership, management and sharing of national natural resources. After decades of war, Somalia’s efforts are slowly bearing fruit, he said. But, the country is too often criticized for what it has not yet achieved rather than recognized for its progress. “Our capacity remains at an early stage, but to build it, we require the support and partnership of this Council and its subsidiary bodies,” he said. 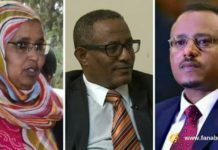 NEBIL SAID IDRIS (Eritrea) said that, in recent weeks, historic developments have taken place in the Horn of Africa, with Eritrea and Ethiopia ending two decades of war and opening a new chapter of peace and friendship, as well as a new horizon for sustainable peace and economic integration. Through a joint declaration signed today, the two countries agreed to exchange ambassadors, forge cooperation in several areas and join hands to address peace and security issues. “The positive externalities of these developments to the entire region cannot be overstated,” he said. Given the emerging regional context, it is inexplicable that the United Nations is discussing sanctions on Eritrea today, he said. The most appropriate action should have been to lift the sanctions, thus unequivocally indicating its support for those positive developments. He welcomed the call by several countries, including Ethiopia and Somalia, for the sanctions to be lifted, calling it unacceptable that some Council members are still setting preconditions and “changing the goalposts”. Those countries seek to keep political pressure on the Eritrean people for reasons unrelated to the maintenance of international peace. 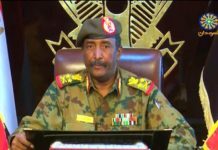 “The Security Council should not miss another opportunity to contribute positively to regional peace and security in the Horn of Africa and the Red Sea,” he said, emphasizing that the Council’s credibility in the region is at stake. By lifting sanctions without conditions, the Council can send a positive message that it supports the desire of people in the region to live in peace and economically thrive together. The other option — for the Council to maintain politically motivated sanctions without justification — would indicate its unwillingness to walk in tandem with regional developments, preferring to encourage spoilers who seek to undermine the unfolding peace and integration. 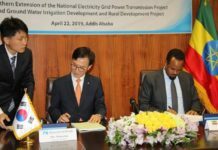 For its part, Eritrea is committed to redoubling its efforts and joining hands with other countries in the region to ensure peace and accelerate socioeconomic progress. MOHAMED SIAD DOUALEH (Djibouti) thanked the Committee Chair for his visit to the region, adding that Eritrea’s refusal to invite him, and to cooperate with the Monitoring Group, showed an intolerable pattern of behaviour characterized by obstruction and obfuscation. Welcoming the latest developments regarding the conflict between Eritrea and Ethiopia, he suggested that a study into lost gross domestic product (GDP) due to conflicts in the Horn of Africa would prove the benefits of investing in peace. “Silencing the guns and realizing a conflict‑free Africa is a challenging task, but we should all work in earned and full commitment towards that goal,” he said, describing the people of the Horn of Africa as brave and talented, with a can‑do spirit when given the chance. 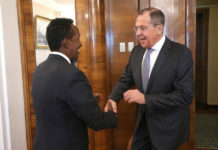 On the border dispute between Djibouti and Eritrea, he said his Government agreed with the African Union Assembly decision, adopted on 2 July, requesting the African Union Commission to continue helping the two countries to peacefully resolve the conflict, which has been ongoing for 10 years, including six years of fruitless negotiations under Qatar’s auspices. The Council should urge Eritrea, in accordance with resolution 2384 (2017), to engage in mediation efforts, he said, emphasizing that the opportunity to build a future of peace and development in the region cannot be squandered. There is no escaping the fact that the border remains disputed, that Eritrea is occupying Djibouti’s territory, that prisoners of war remain accounted for, that the threat of force still emanates from Eritrea and that the risk of violent confrontation remains high. Asserting that Eritrea is defiantly ignoring Council resolutions, he said sanctions for non‑compliance must stay in place as long as that country refuses to respect them. On ending Eritrea’s support for armed groups, he said the Council should send a monitoring mission there within one month, which would report back within 30 days of its return. On prisoners of war, he said the Council could require that Eritrea account for them to the same proposed monitoring mission, with additional access permitted to the International Committee of the Red Cross. He also recommended that the Secretary‑General, in collaboration with the Council, convene an urgent meeting of the principal parties to facilitate an agreement based on a mutually acceptable dispute settlement procedure as set out in Article 33 of the Charter of the United Nations. In such an instance, the Secretary‑General would make a recommendation within 120 days and require that the two countries either accept it or submit the dispute to the International Court of Justice for a final binding resolution. Briefly turning to Somalia, he said Djibouti is heartened by the progress that country is making. AMISOM continues to play a critical enabling role as Somalia strives to gradually assume responsibility for its own security, he said, emphasizing that the Mission deserves ongoing support from the international community. Previous articleEthiopia: The new China?